Cradle Mountain forms the northern end of the wild Cradle Mt – Lake St Clair National Park, itself a part of the Tasmanian Wilderness World Heritage Area. The jagged contours of Cradle Mountain epitomise the feel of a wild landscape, while ancient rainforest and alpine heathlands, buttongrass and stands of colourful deciduous beech provide a range of environments to explore. Icy streams cascading out of rugged mountains, stands of ancient pines mirrored in the still waters of glacial lakes and a wealth of wildlife ensure there is always something to captivate you. The area is one of the most popular natural areas in Tasmania with a number of different bush walks available including the summit trail to the top of the mountain. 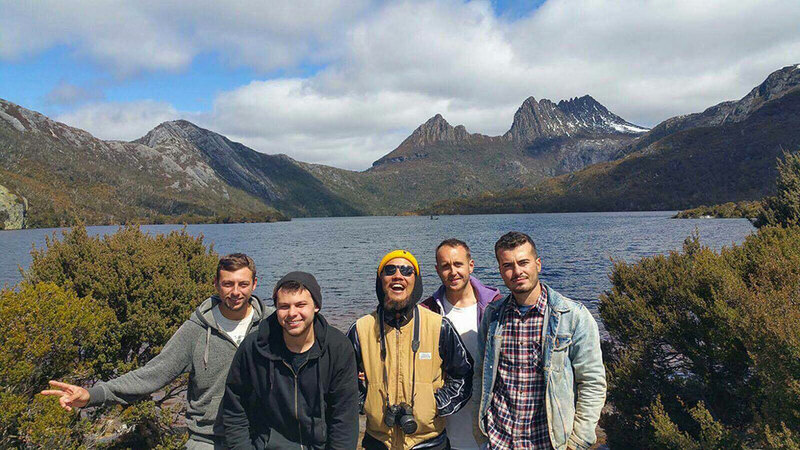 Cradle Mountain is only an hour’s drive from Tasman Backpackers and is a great day trip with friends on the weekend or day off from work. Ask our staff any questions you have on other attractions in Tasmania – we are happy to help!